We have had a fantastic first week back in Willow Base! This week we have focused on subtracting in maths and writing simple sentences. Willow Base have remembered to use their sounds and finger spaces! Well done. We have had performances to promote confidence and children talking to the class about their holidays. We practised using our loud voices and talking in full sentences. 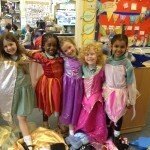 On fantastic, fun Friday we had a child lead the assembly, lots of role play/working together and smiles all round. We missed Willow Base and are pleased to see you back!